The University of Maryland Energy Research Center (UMERC) has selected ECE graduate student Chuan Shi for a 2016 Harry K. Wells Energy Research Fellowship from the A. James Clark School of Engineering. This one-year fellowship provides a $20,000 stipend, as well as travel expenses to present the research results at a technical conference. Shi is advised by Associate Professor Alireza Khaligh (ECE/ISR). 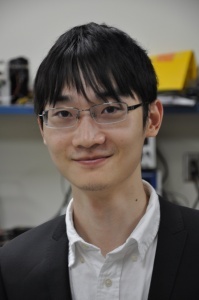 Shi’s research topic, “Towards Miniature Power Electronics for Smart Grid Sensors,” will focus on power electronics converters in application of smart sensor networks for Smart Grids. In addition, the proposed topologies and the design methodology will be extendable to smart sensor networks applied in distributed solar energy plants, distributed wind energy systems, and other renewable energy systems.